STOP whatever you're doing. Our Capdase MAXX 50 POWERbank giveaway is now LIVE! How to join? It's all here! Are you still frequently hugging your wall just to recharge your smartphone with small battery life? Geeks, do not fret. The Capdase Maxx Powerbank giveaway is here! I know you have been hearing about this for quite some time; but yeah, it's time to rollout these powerbanks in the wild. I will be giving away not one but a total of 9 Capdase Maxx 50 Powerbank in the whole duration of the giveaway. In fact, there will be a powerbank winner every other week. How's that? How to join the Capdase Maxx 50 Giveaway? The Capdase Maxx Powerbank is the newest product from the popular and trusted brand of gadget accessories. Of course, you are not new to their products; I know most of you are rocking a Capdase case or a headphone every now and then. So let's cut the chase, what do you need to do to have that Maxx 50 Powerbank? Simple! Share this article on Facebook. Tell us why you need a Capdase Maxx Powerbank, make your post PUBLIC. Tag 4 of your friends to whom you wanted to share your Maxx Powerbank's long-lasting battery power. 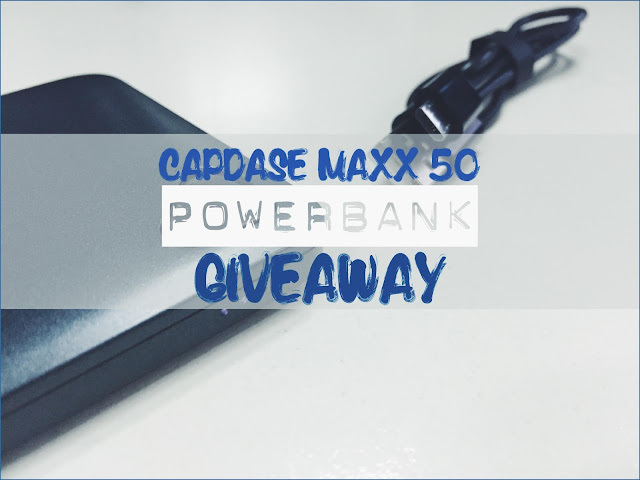 Use #CapdaseMaxxPowerbank and #CapdasePhilippines hastags. Of course, you also need to LIKE Capdase Philippines (@CapdaseOfficial) and Pinoy Metro Geek on Facebook. And TAG our Pages in your entries. We will be selecting winners of a Capdase Maxx 50 Powerbank every other week. Not only that! We will also give away Samsung TecTile NFC Tags as minor prizes! Cool right? Just to give you an idea about this premium powerbank, check out our Capdase Maxx review. Our first giveaway period will run until October 12! We will announce the winners on October 13. So keep that SHARE buttons working and see you in Facebook!